Yesterday afternoon the boys wanted to make shirts and pants for their WWE heroes. So I taught them how to make the simple pattern and cut the fabric. With basic running stitches, they managed quite well. The weather was cold last Sunday and I just needed to do something while sitting and watching my weekends drama. 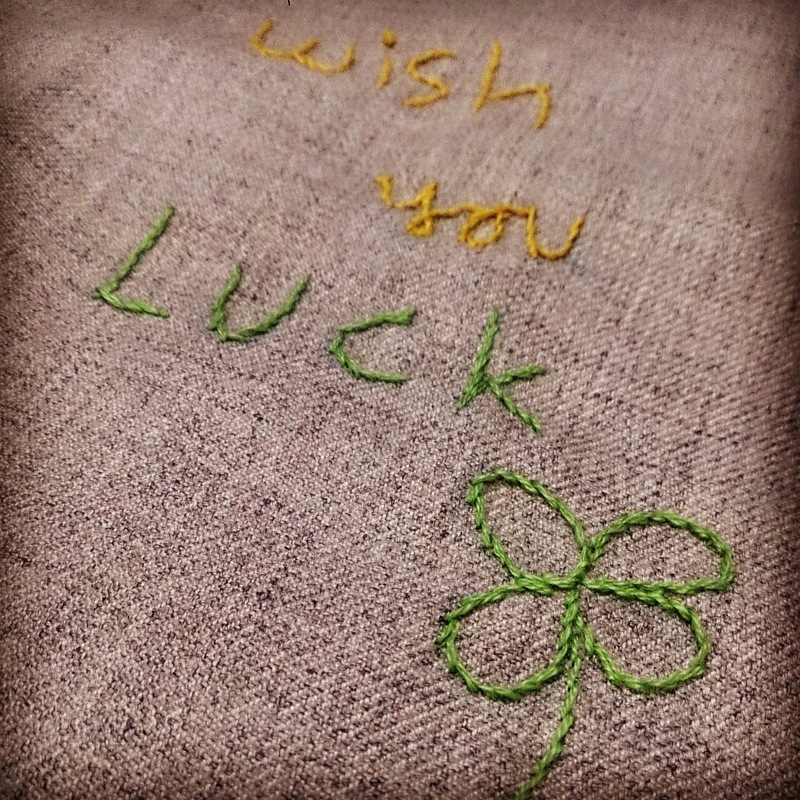 This "wish you luck" mug rug will be a great gift for someone who has to stay up late studying or working on a project! And my second green project was this iPad sleeves. I used to wonder why one need gadget sleeves if you already have smart cover? 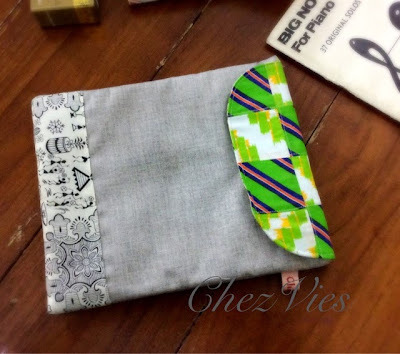 Well, you know what..you need a sleeve for your gadget! Cos when you put it inside your purse the smart cover tends to flip. And if you are frequent flyer, you definitely need one to protect your gadget during the security check. This one featured warli art print. warli art is very popular in India. It depicts the everyday life of adivasis tribe in India. Since last 2 months I keep a "to-do-list" in my phone using Google Keep apps. Well, so far it works. I keep a weekly list for things I want to complete. It helps me keeping track of certain things. And it feels good when I can complete one task, whether it's cleaning up my cupboards or finishing my UFOs project. fabric cover bin. I found good tutorial on youtube . basically you make cover for the outside and make a liner for inside of the box. it's removable cover. My first post in 2015! while the boys were trying out the gokart , I was enjoying the sun while looking at the snow capped himalayan range. Subhanallaah.